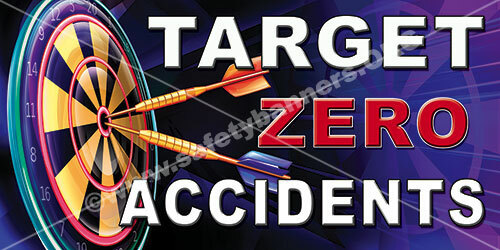 Target Zero Accidents for American Industrial Facilities. 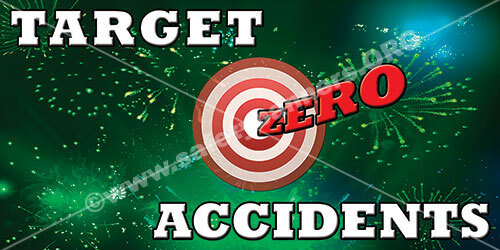 Target Zero Accidents in the Workplace. Safety Banners are an effective way of reducing workplace accidents and incidents by keeping employees focused on the goal of safety. When workers are reminded to increase their safety conscious mindset, the net result is a reduction in the number of overall accidents that occur throughout a calendar year. 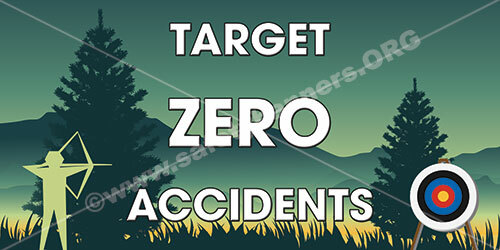 The goal being an accident free workplace, implementing as many "Target Zero Accident" banners, posters and signs is an effective way to acheive a safe work environment. 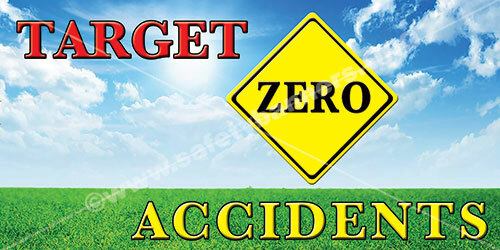 TARGET ZERO ACCIDENTS TODAY AND EVERY DAY. SafetyBanners.Org offers a wide variety of designs that will keep you OSHA compliant and protect your employees from dangerous accidents. If you cannot find a design which fits your needs, give us a call or send us an email with your specifications and we will put something together to fit your needs. When you expect the best, SafetyBanners.org delivers.